It’s been a busy time for Drake Scaffolding as we undertake and complete more than another recent South West scaffolding project. This particular project was another important commercial job for the team, this time involving a school. As an older building, it was time for some renovations and repairs to the roof by local company Stormforce Roofing. In order for them to be able to access the roof safely, it was critical that they had safe and easy equipment on which to do so. 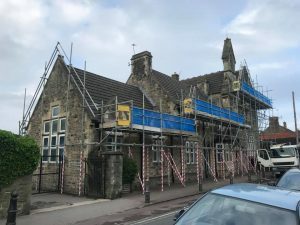 Of course, we are always extremely vigilant and pay the utmost attention to the health and safety of our team, the construction workers and the local public, none more so than when it is a school. With children needing to be able to safely access the building, health and safety was our number one priority. 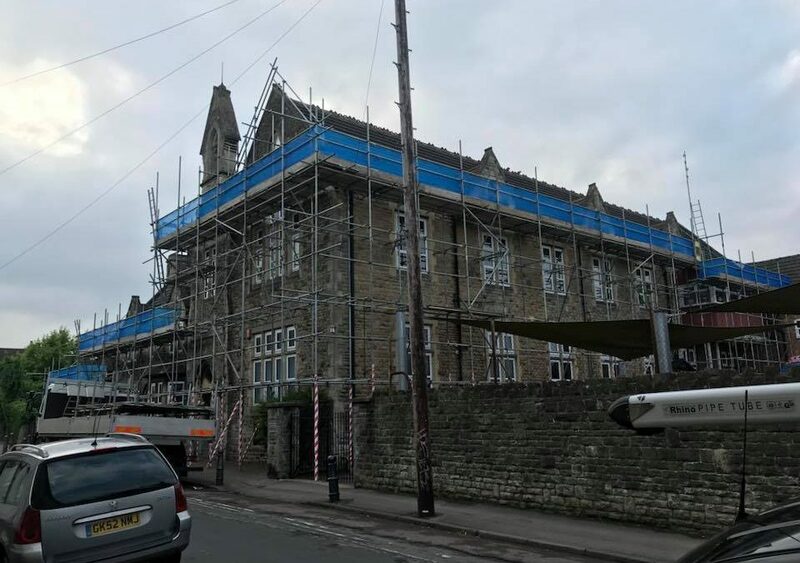 With a tight deadline, the team worked really hard, on what was a very long day, to get this South West scaffolding project completed within the timeframe required but also as safely as possible. The roofing team were then able to go in the next day and undertake the work safely and effectively. All of the team at Drake Scaffolding are trained to NASC regulations and we are CHAS accredited and CITB certified. As with every job we go in and carry out a full site survey and inspection prior to commencing any work. We don’t just turn up with the tubes and boards and start work. We make sure that we know exactly what we are dealing with and what is required of us first. If you want to enquire about any of our scaffolding services for commercial or industrial scaffolding then please do not hesitate to contact us. We cover Plymouth, Exeter, Torbay, Newton Abbot and the surrounding towns and cities of Devon, Somerset and Cornwall.